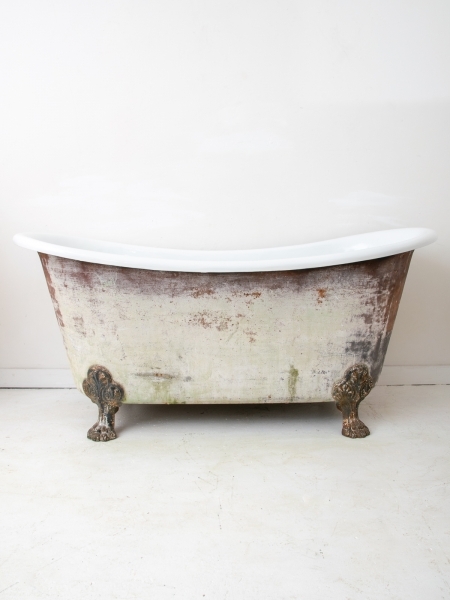 Authentic French bateau bathtub with its original lion feet in excellent condition. Newly resurfaced enamel interior and original exterior patinated paint. Exterior could be sandblasted and repainted as per requirements. Waste at the end, no overflow. Waste fitting 1.5 inch.